Come explore the wonders of SHADOW PUPPETRY, a cultural art-form in Southeast Asia, but relatively new here. 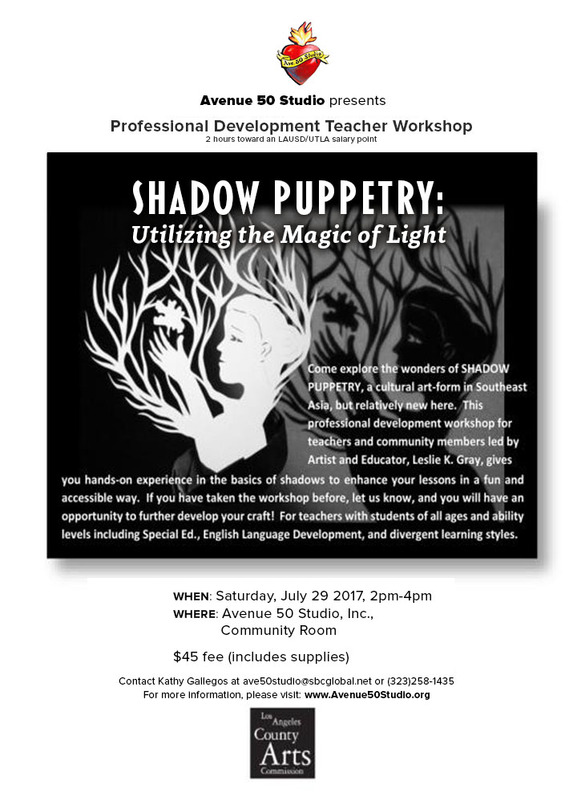 This professional development workshop for teachers and community members led by Artist and Educator, Leslie K. Gray, gives you hands-on experience in the basics of shadows to enhance your lessons in a fun and accessible way. If you have taken the workshop before, let us know, and you will have an opportunity to further develop your craft! For teachers with students of all ages and ability levels including Special Ed., English Language Development, and divergent learning styles. To reserve your spot, make sure to make a payment via Paypal below.